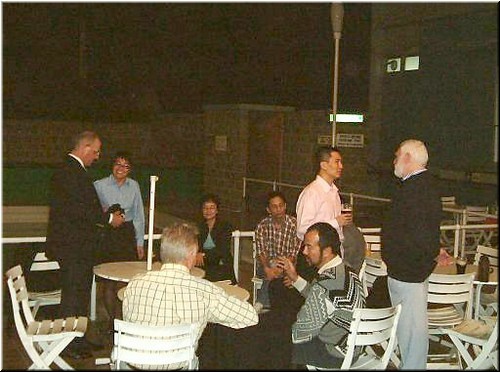 A clear winter night in Hong Kong on 25th November 2003 saw around 30 members and guests assemble at the Mariners’ Club in Tsim Sha Tsui, Hong Kong. The gathering took place adjacent to the outdoor swimming pool, where live music from a two piece band and delicious hot food, which included the first tasting of turkey and roast potatoes prior to the festive season, was enjoyed by all. 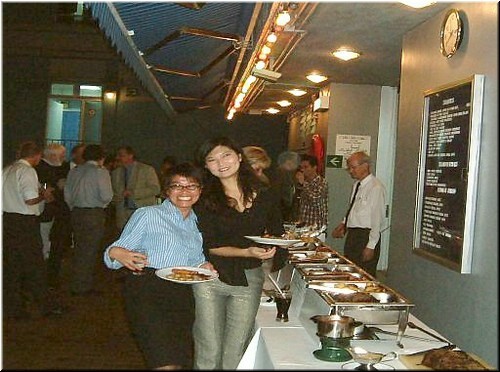 The event had been organised by Hong Kong pilot and branch committee member Thomas M.C. Yeung. As well as being a casual get together for the Branch, it was also an opportunity to acknowledge the work done by the Mission to Seafarers in Hong Kong, and in particular the staff at the Mariners’ Club in Tsim Sha Tsui in Kowloon. 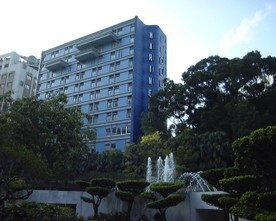 The Hong Kong Mariners’ Club, a 12 storey building situated in a prime location in the heart of Kowloon with a view of Victoria Harbour and Hong Kong Island was opened in 1967. 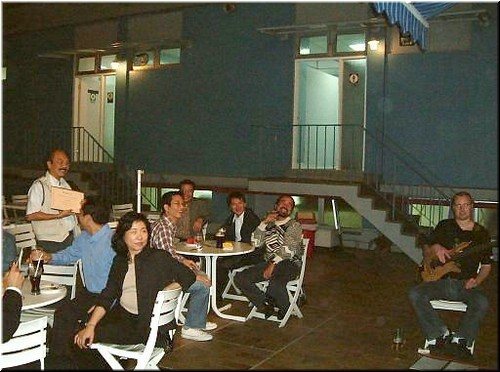 It thrived as a place for crew to stay when joining and signing off ships as well as offering all the normal facilities that the Mission to Seafarers Flying Angel Clubs are relied upon to provide by seafarers of any nationality and religion whose ships visit Hong Kong. The spacious Club also includes a bowling alley, poolroom, table tennis room and outdoor swimming pool. St Peter’s Church is located on the first floor below the two bars and a restaurant. Over the years the facilities at the Club have been enjoyed by young and old, and many people in the local community interested in supporting the Club have also been able to sign up to be members. The present Senior Chaplain, the Reverend Peter Ellis, has been at the Mariners’ Club since 1992, having previously been Assistant Chaplain between 1974 to 1975. Prior to Peter’s arrival some mariners who visited Hong Kong may recall the other Senior Chaplains, Reverend Wally Andrews who was at the Club between 1983 to 1992, Reverend Ted Matchett between 1974 to 1983, Reverend Geoffrey Shrives, between 1969 to 1974. The first senior Chaplain at the new Club was the Reverend Frank Rowe, who had been posted at the old Mariners’ Club location at Wanchai. In 1969 the Roman Catholic Apostleship of the Sea (Stella Maris) became associated with the Club followed by the Danish Seamen’s Church in 1981 and the German Seamen’s Mission in 1995. 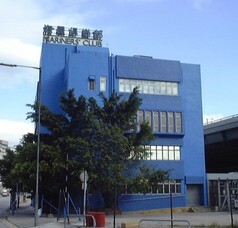 A rapid expansion of the port of Hong Kong and the growth of the Kwai Chung Container Terminals lead to the opening of a smaller club at the Kwai Chung Container Port in 1975. The Kwai Chung Mariners’ Club is situated at the heart of the container port terminal and quite literally can sometimes be the only means of contact with the outside world available to the crews of the fast turnaround container ships. 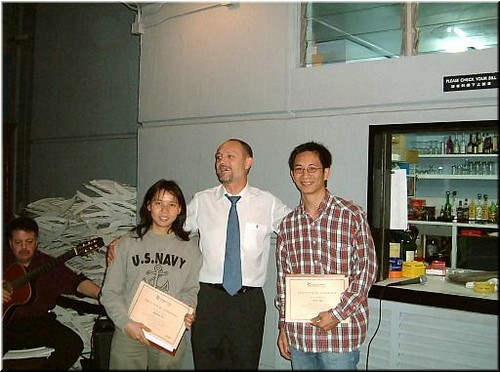 Hong Kong Branch Committee Member and Website Master, Luca Ferrerio has served as the Mission to Seafarer’s Assistant Chaplain in Hong Kong since 1998 and runs the Kwai Chung Mariners’ Club, from where he visits the many container ships that berth at the Kwai Chung terminals. 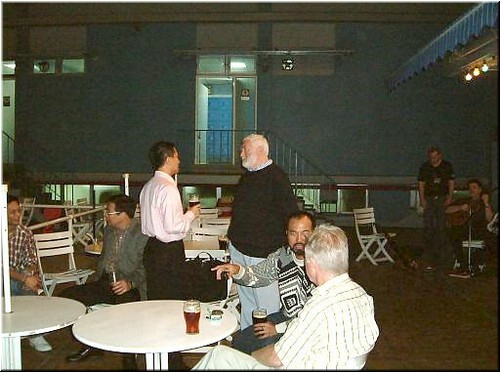 For many present the gathering in November served, as an opportunity to reminisce on the days when the Mariners’ Club in Kowloon was a thriving establishment. Quicker port turnarounds and more frequent flights in and out of Hong Kong have now seen occupancy of the accommodation unit plummet. After dinner, formalities were kept to a minimum but not before the Branch Vice Chairman, Harry Hirst, gave a poignant reminder to those present of the contribution made by the Mariners’ Club and the Mission to Seafarers in Hong Kong. 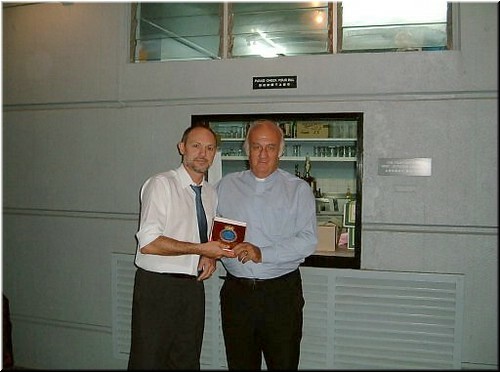 He then presented a Nautical Institute plaque on behalf of the branch to the Reverend Peter Ellis. Peter then spoke about the close relationship between the Nautical Institute and the Mission to Seafarers and hoped that it would continue in the future. It is interesting to note that the Flying Angel Flag was raised in Hong Kong in 1885; some twenty-nine years after the founding of the Mission in Cardiff, South Wales. 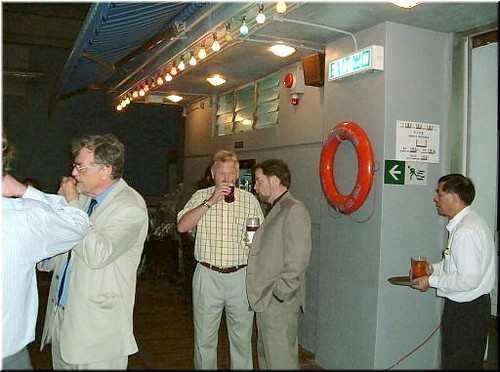 The previous gathering of Nautical Institute members at the Mariners’ Club was in September 2003. Reverend Peter Ellis hosted an informal dinner at which several members and guests had the chance to meet and chat with Mr. Doug Stevenson (Director Center for Seafarers’ Rights), who was in town to give a lecture on the rights of seafarers at the Seafarers Ministry Training; maritime security in the United States and the proposed new ID cards for seafarers were among the topics discussed. 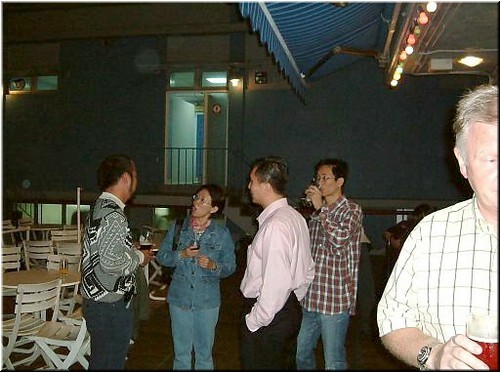 Proof that the Club is still valued as a place to stay when visiting Hong Kong was not far away that night. 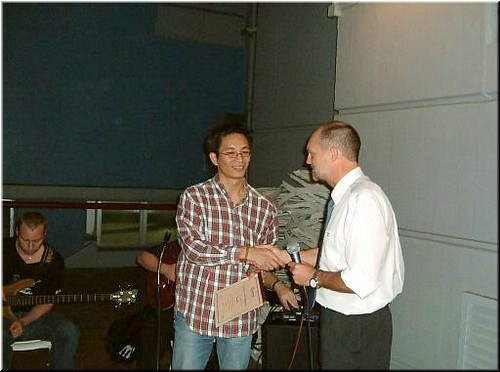 Mike Watson of the Nautical Institute Western Australia Branch based in Perth, came upon the die hards in the group later that night in the Club’s Bridge Bar. Mike and his wife were enjoying a holiday in Hong Kong, a place well known to Mike from his days when he sailed with the China Navigation Company. 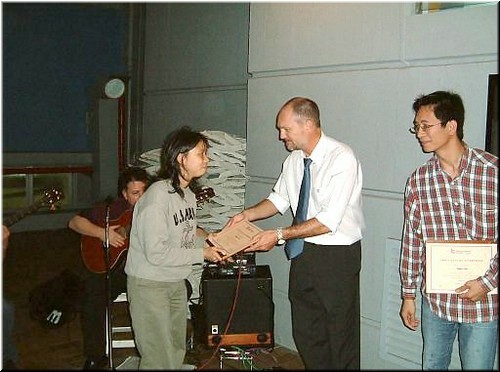 Whilst the immediate future of the Mariner’s Club in Tsim Sha Tsui is not yet known, the Hong Kong branch will continue to support the venue and the work of the Missions to Seafarers in Hong Kong.